This entry was posted on January 31, 2013 by seekraz. 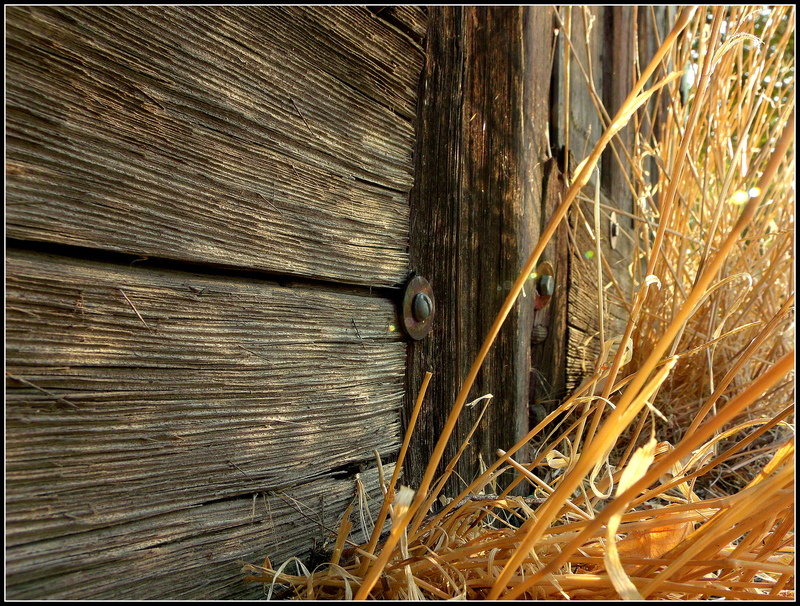 It was filed under Photos - Outdoors and was tagged with door and straw, golden straw and old door, old wooden door, photography, seekraz photography, texture and color, texture of wood. Oh I love these. 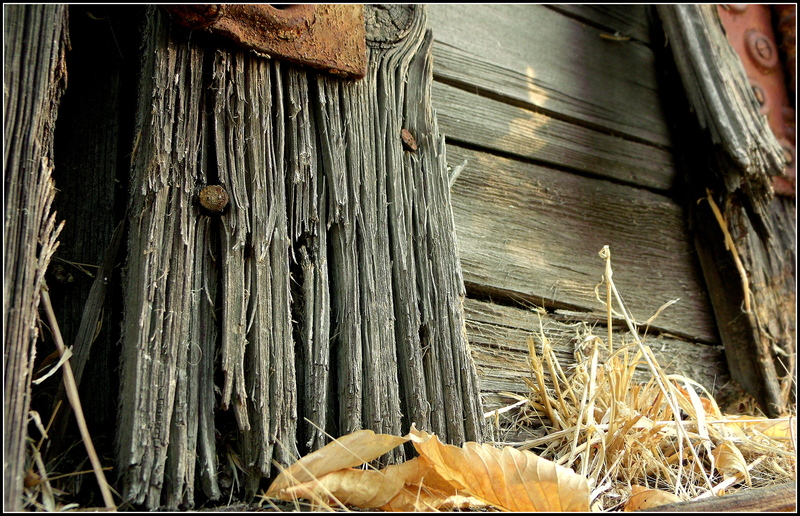 The last one – just a tangled mess – who would ever think to photograph it? But there’s so much mystery there. The light is wonderful too. Each one is just beautiful!! 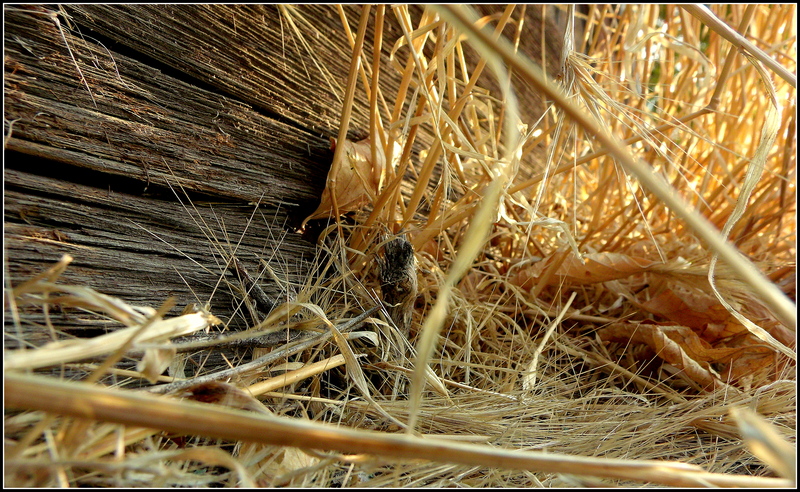 Looking again, in mouse-mind I know what a perfect spot to burrow this is. Incredible detail in the texture especially the first image. Lovely crisp detail in those textures, Scott. Do you do any image processing? Good morning, John…and thank you. I used Picasa to process the images…added a bit of shadow, sharpened them up a tiny bit, and boosted the color just a bit, as well…that’s usually the most that I’ll do with my photos…sometimes change them to black and white…but not much else aside from cropping them. Bonjour Val, le bois peut certainement être belle, ne le peut pas? Je suis heureux que vous avez apprécié les photos. Truly amazing crisp detail in these. I’m almost wondering if you have a new camera? Yes, I can almost feel the splinters. I guess you have the luxury of snow in the mountains or no snow lower down. These are so crisp! Right now we still have snow everywhere, Karen…the photos are from September…before Winter came to visit. Thank you….